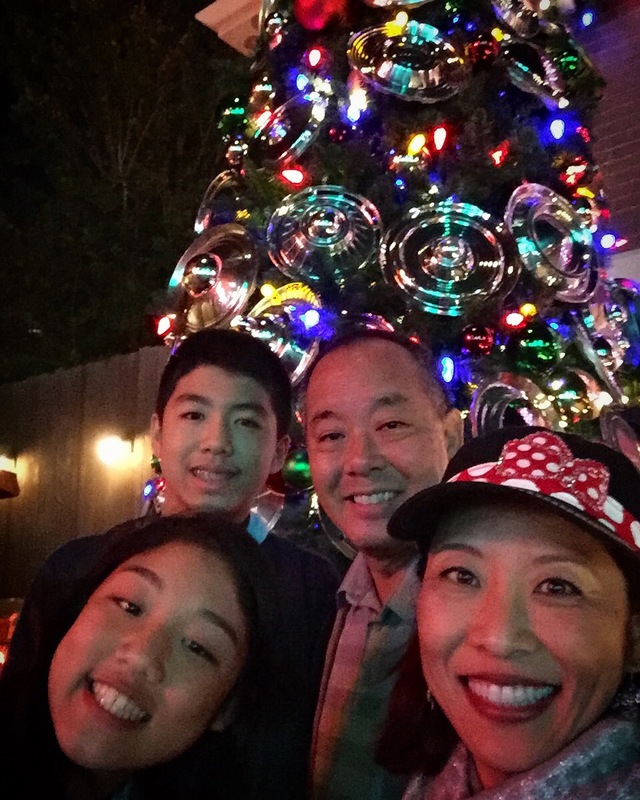 December 23-25, 2015 So lucky to be spending Christmas together as a family at the happiest place on earth–Disneyland! No selfie sticks allowed in the park, so my head looks extra big in our family selfies. That’s ok. Its worth it to have the whole family in some pictures. The weather was perfect–on the first day–a little warm during the day and a little cool at night. The second and third day got progressively colder. In fact the fireworks were cancelled all three days we were there due to high winds. We took advantage of the Magic Morning benefit on the first and third mornings we were there and entered the park an hour before it opened to the public. No crowds, short lines–wow, what an easy hour. Now that the kids are older, things are so relaxing for us. The kids still need us for money for food so we see them from time to time, but they love going on rides without the parents. The kids took full advantage of the faster-moving, single-rider lines where they were available. In addition, we collected FastPasses for those rides where that option is more advantageous. We spent a lot of time at California Screamin’ on the first day. In fact, while my son was on it, it actually malfunctioned and he had to be escorted off the roller coaster car mid-ride. Thank goodness he wasn’t at the top of the loop when this happened. The Haunted Mansion and It’s A Small World rides were especially enjoyable since they were decorated to the extreme for the holiday season. The kids loved Hollywood Tower of Terror, California Screamin’, and Mickey’s Fun Wheel with the swinging gondolas. 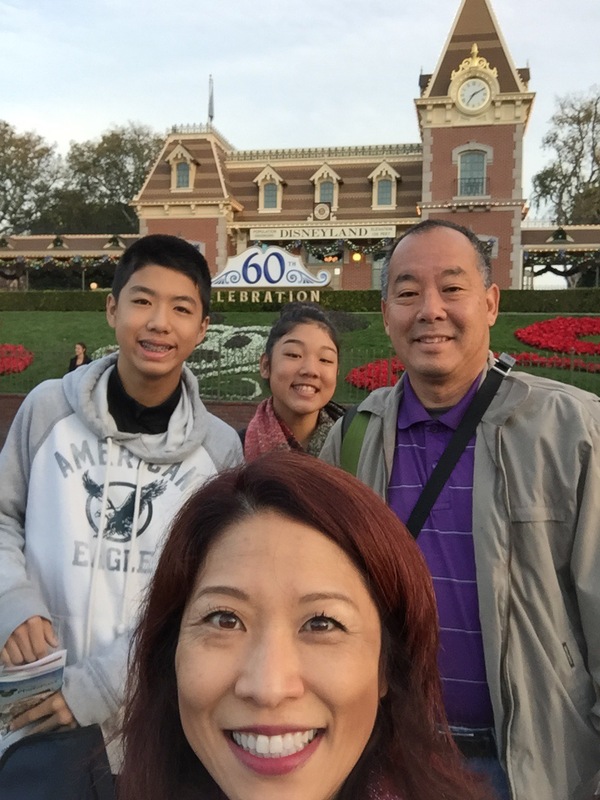 Christmas Day at Disneyland was perfect–if slightly cold for this warm-weather family. Spending this day together in the happiest place on earth is a memory I hope the kids won’t soon forget.